While Poland is still in the grips of a low pressure front sweeping eastwards, causing heavy rainfall and expected hailstorms in southern regions of the country, emergency services and residents are inspecting yesterday’s damage in the central Mazovian and Lodz regions. 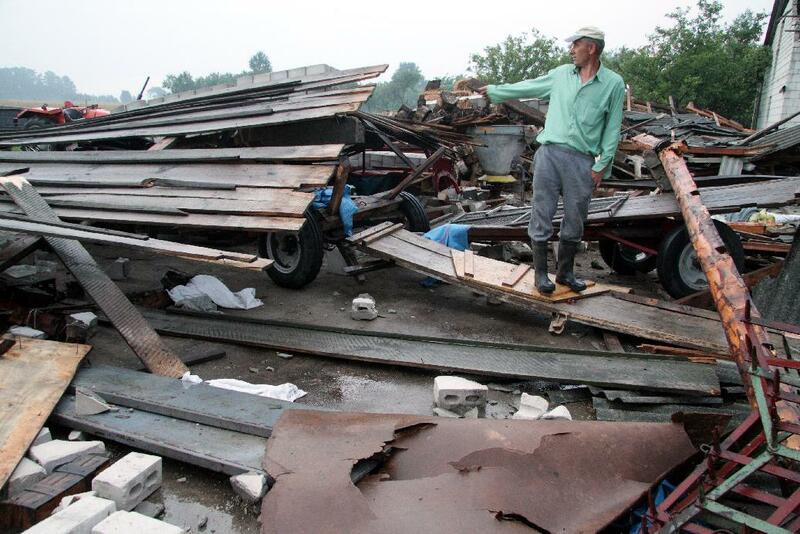 One tornado which touched down in the southern reaches of the Mazovian region, damaging some 300 buildings, ripping off roofs, uprooting trees, and bringing down power lines. In total around 700 buildings are thought to have been damaged by yesterday’s storm. On visiting the area struck most severely, Prime Minister Donald Tusk promised that the storm victims will receive government support regardless of whether they were insured or not.